Need Help with Managing Your 401k at work? Your house is probably the largest personal investment you will make. How you decide to pay for it can create unnecessary wealth transfers. 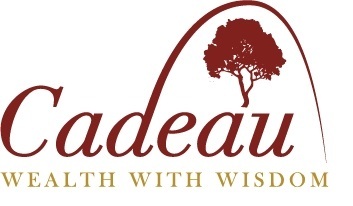 Cadeau is an independent financial services firm based in Chesterfield, Missouri, serving individuals, families, charities, and business owners largely based in the greater St. Louis area. We help our clients in a rather unique capacity in that we help people identify money that they're losing unknowingly and unnecessarily. You ask, "What does that mean?" It's how you fund your 401(k), pay or fund college, pay the mortgage and how you make major purchases. Typically we are able to show someone how to increase their after-tax retirement income without having to save any more money. With volatile markets and ever-changing financial solutions available, we understand how intimidating it can be to make critical investment decisions and how difficult it can be to feel confident in your financial future. Our goal is to assist clients with developing a tax-efficient financial plan that can withstand changes (both economic and personal) and help to ensure that your wealth lasts throughout your retirement years. With more than 30 years of experience and a strong commitment to our clients, our professionals are uniquely positioned to help you address your concerns and plan for tomorrow and the years to follow. Contact us today to learn more about how we help our clients obtain Wealth with Wisdom! Vince Klein is an Investment Advisor Representative with Investment Advisory Services offered through Saxony Capital Management, LLC (SCM). Chris Jacob is a Registered Representative with Saxony Securities, Inc. Securities offered through Saxony Securities, Inc. (SSI) Member FINRA, SIPC. Non-security products and services or tax services are not offered through SSI. Cadeau is not affiliated with SSI.